Approved RenewableUK and GWO training provider for the Wind Industry, Provision of safety training for the Utility Industry, PPE inspection, Statutory Inspections. A leading supplier of safety training, equipment and H&S services for individuals working at height in the Utilities, Telecom and Renewable sectors. 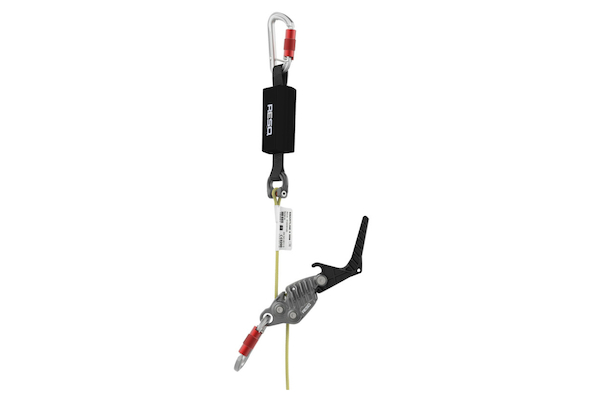 Founded in 2002 as a safety equipment supplier for work at heights, Safety Technology works closely with the Utilities and Telecom Industries supplying high quality fall arrest safety equipment and training. After a huge surge in Wind Energy in the UK, Safety Technology was quick to recognise the need for skilled workers in the sector, and began to develop a range of safety courses for the industry. In 2010 the company gained GWO accreditation and by 2011 were training individuals worldwide, clients including industry leaders such as Vestas, Gamesa, Dong and Suzlon. As a GWO approved training provider Safety Technology Ltd offer the most up to date industry required courses from ours and partners facilities located throughout the UK, Europe and USA. We are also able to train from pre-approved customer sites. As the only UK certified representatives for Cresto ResQ, Safety Technology provide full inspection, vacuum and re-vacuum sealing of the AG, RG, MRG and RED Pro type controlled descent devices. STL offer PPE inspection and statutory inspections of items within Wind Turbines, such as ladders, anchor points, eye bolts, wire and rail systems. As the only distributor in the UK to supply both Cresto and Skylotec products, Safety Technology ensure we stock the best products on the market, including our own range, Sirocco by STL®, designed and manufactured to meet the unique demands of the Utility and Wind energy sectors. Smartline X is the smallest and lightest personal evacuation device in the World. A group of like-minded companies: Safety Technology Ltd, Offshore Turbine Services, Renewable Strategy Limited and WTG Offshore have formed a strategic alliance to provide a unique solution to key aspects of turbine inspection, maintenance, repair and service Management. With these companies working together the industry can now access statutory inspections and blade inspection and repair using versatile fuel efficient vessels with dedicated workshop facilities on board. Clients can be supported by a specific wind farm maintenance Management system to keep them fully versed of maintenance requirements. AWEA conference San Diego report. If you have a question or would like more information, please get in touch with us today. Click here to reveal our contact form. We look forward to hearing from you.